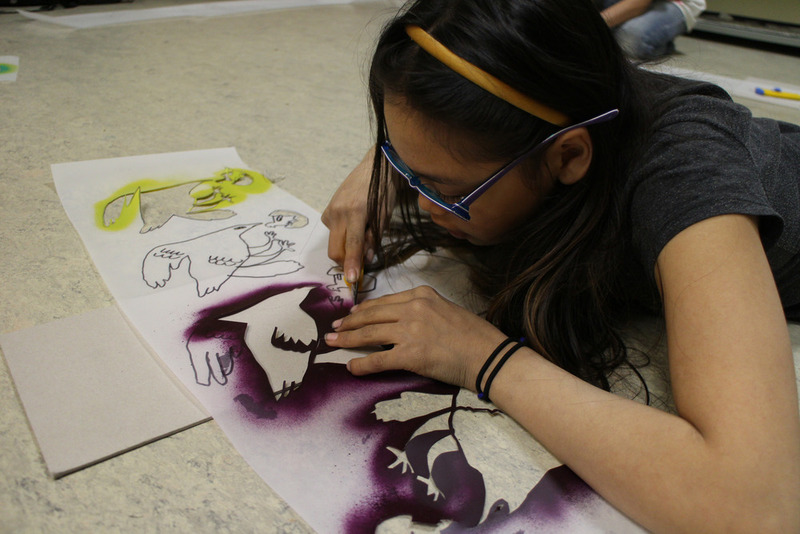 Young Cape Dorset artists learned how to make multi-layered stencils. 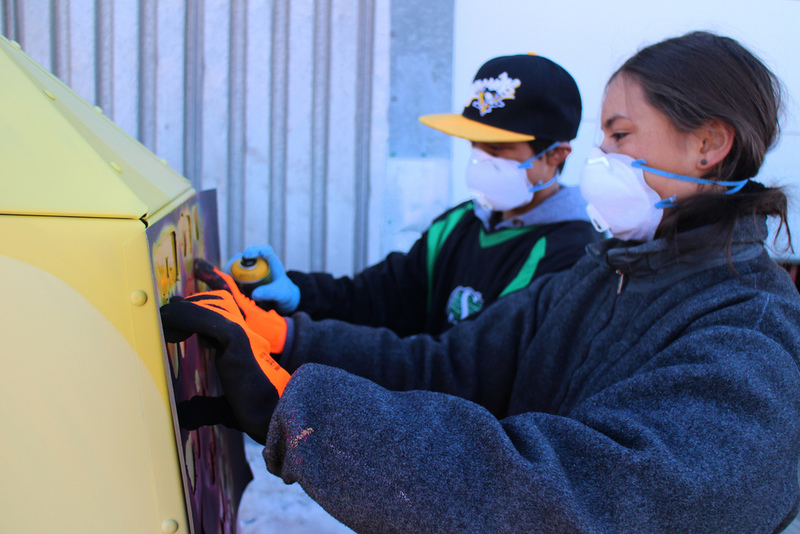 It was a great collaborative project, from stencil cutting through to painting the bins. 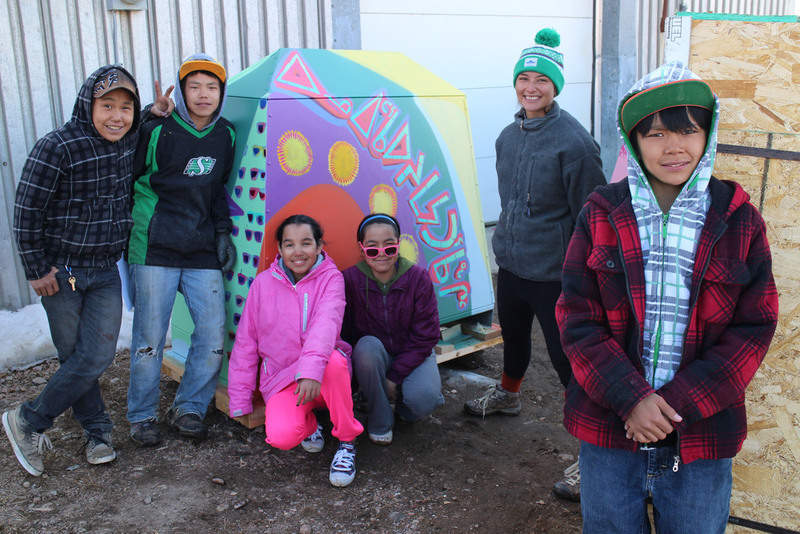 The youth learned how their art encourages everyone to respect the land, thanks to Conservation Officer Aaron Skoblenick who spear-headed this amazing project. Congratulations to the youth: Ruth Jaw, Sylvia Ottokie, Ataumie Nungusuituq, Naomi Parr, Mary Ann Adla, Livina Toonoo, Elizabeth Qatsiya, Latch Akesuk, Jolly Akesuk, Miazie Joanasie, Putugu Kinguatsiak, Audi Qinnuayuaq, Tiivi Saaki, Kellypalik Ashoona, Amaula Tapaungai, Isabella Suvega, Charlie Tunnillie, Parr Etidloie, Alisa Allooloo Qimirpik, Saila Pudlat! A special thanks to Steve Ferrara of Well and Good, everyone who contributed to the Indiegogo Campaign, Mike Soares and the PSS staff, Bill Ritchie and Kinngait Studios, Miss Danick Clavel, First Air, and Joe Huffers Paint Shop.